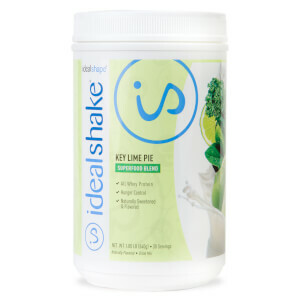 Our naturally sweetened and flavored meal replacement shake is packed with a powerful superfood blend of delicious and natural weight loss supporting nutrients. 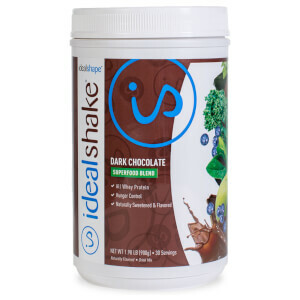 Each IdealShake Super provides 12 grams or protein, 5 grams of fiber, and is sweetened with stevia, the natural and zero-calorie sweetener. Boost your nutrients and your weight loss with this superfood meal replacement shake!